"Everything I teach is what I live. This is not to say that I do it all so perfectly. It is only to say that these are my practices, so I have the experiences to know they really work. I have learned from my successes as well as my failures. "Failure" is a naturally rich opportunity for learni﻿ng, growth and opening to grace. And it's all Yoga, on the mat and beyond, in our daily moments living on this earth. The passionate thread in all that I do is listening deeply and connecting intimately with myself and life's moments to tap into my essential knowing, guiding others to know/experience that same intimate potential." I Honor and bless all my teachers with deep gratitude. Here I want to acknowledge some of my most influential teachers, mentors, friends and family: Windsong, Jane Bothwell, Donna Miller, Marianne Williamson, Gay and Kathlyn Hendricks, Mark Wheeler, Carl Rosato, Larry Morningstar, Rosemary Gladstar, Juliette de Barcli Levy, Joan Thorndike, Nana, Auntie Merle, Andrew Brait, Jim Eldon, Dr. Walker, Tom Ward, Rick Valley, David Holmgren, John Seed, Thich Nhat Hanh, Swami Kripalu, Shobhan, Sudhir, Sudha, Hanneli, Charles & Mary David, Yedi, Brian, Cleto, my Mother and all my Angels & Divine Guides. Coaching men, women & couples to radically improve their most intimate relationships using our issues and challenges as opportunities for deeper connection and self-empowerment. Leading retreats in beautiful places in the USA and abroad, teaching powerful practices to build foundations that enhance our relationships and support joyful, passionate, sustainable living. Maya Tulum in Mexico, Green Yoga Conference, Eco-Farm Conference, Kripalu Center in Massachussets, UC Davis Experimental College, San Francisco League of Urban Gardeners, CCAT at Humboldt State University, and numerous educational facilities and conferences in the USA and abroad. 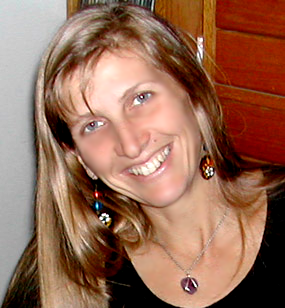 Movement Therapist and Whole Health Educator of Healing Ways. Offering workshops, classes and private consultations as means toward health and balance. Includes the use of foods, herbs, breath, imagery, yoga and other healing movement. Owner /Director /Teacher, Alive & Well Yoga Center, Grants Pass, Oregon Teaching yoga and whole health, relationship coaching, marketing, bookkeeping, coordinating classes, and all other business operating details. Owner /Manager /Teacher, Alive & Well, yoga studio and herb shop, Woodland, California, Opened and operated retail store, taught yoga, whole health and herb classes, offered movement therapy. Farm intern and herbalist, Fiddler's Green Farm, 18265 Co. Rd. 70, Brooks, CA 95606. Responsible for field & greenhouse work, CSA boxes, deliveries and Farmer's markets. Developed herb gardens and a signature tea blend, and marketing and education strategies for herbs grown on the farm. Herbal Apprenticeship with Jane Bothwell, a practicing herbalist and teacher in Kneeland, CA and further studies with herbalists and plants across the country.